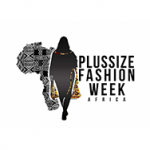 Plus-size Fashion Week Africa (PFWA), is a first of its kind fashion runway show that highlights plus size models and apparels. The event is set to hold on 5th of August 2017 at the Main Banquet Hall of the Oriental Hotel, Victoria Island, Lagos. The event will feature runway shows, exhibitions, business talks, fashion enterprise on skills acquisition as well as diet talks. PFWAfrica is aimed at maximising the growing focus of the plus-size fashion industry and also the promotion of the African culture. This maiden edition is themed: “Celebrating the real African woman”. It is billed to attract over 20 designers who will take the stage and exhibition booths to showcase their designs and fashion pieces specifically made for the plus sized woman. Asides the fashion show another major highlight of the event is the search for “Africa’s next plus-sized model”. Successful participants at the auditions will grace the stage at the PFWAfrica and will also be signed, trained and developed by a renowned Modelling Agency. International modelling exposure will also be gotten through our partner Modelling Agency. The plus size modelling competition will start form 1st of July, 2017. The Plus-size Fashion Week Africa was birthed out of the need to stop the stigmatisation and body shaming of the plus-sized woman, we believe that every woman should be comfortable in her skin and body regardless of what the society thinks as long as they are healthy. The Plus-size Fashion Week is poised to celebrate the African Woman’s Body, while not excluding zero sized and other sized models and apparels as well. It also not a female exclusive fashion show, male apparels and models are also to be showcased. The show is being produced by Mahogany Productions & Events and Pr & Marketing by YD Agency.